Opuwo is the capital of the Kunene Region in north-western Namibia. 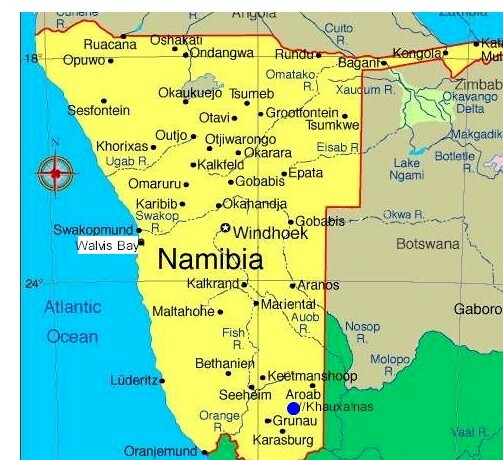 The town is situated about 720 km north-northwest from the capital Windhoek, and has a population of 5,100. Pieter de Villiers of the Congress of Democrats is the town's mayor. 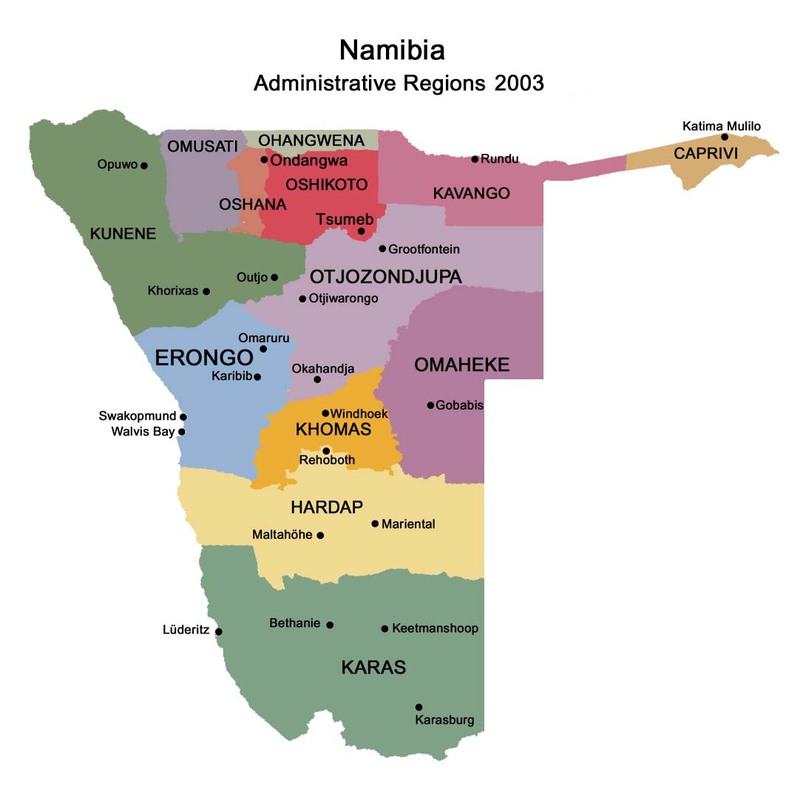 The first office to be established in the area was the colonial administrator in Kaoko in 1997, which was located at the Swartbooi’s Drift on the banks of the Kunene River before the location's name was changed to Opuwo. This police station was run by Sergeant Herbert, and his aim was to receive the Angola Boers who had trekked to Angola out of refusal to accept the British government in South Africa. Sergeant Basson took over the office at Swartbooi‘s Drift, and excavated Opuwo's first borehole. Basson had the nickname “Katjiriamakaja” (a person who eats tobacco). The name Opuwo was given by the commissioner of Ondangwa, Mr. Hugo Hahn, who came in search of land to build an office. Upon his arrival, he asked local headmen to give him land where he could build an office. The headmen gave him a small plot, and when the headmen tried to give him more land, Mr. Hahn responded saying "Opuwo (it’s enough for me): I don’t want any more land". That is how Opuwo got its name. The local residents of Opuwo called it Otjihinamaparero at the time, and some still call it that. Hugo Hahn called the land “Ohopoho Otjitopora” which means "they see the borehole and their water comes out". The name Otjihinamaparero was changed to Opuwo in 1974 due to orthographic reform. 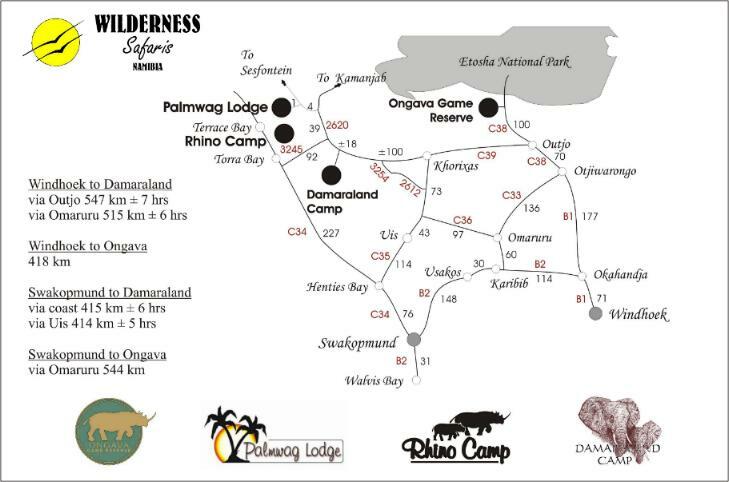 Would you like to book accommodation in Opuwo or a trip there? Contact us!